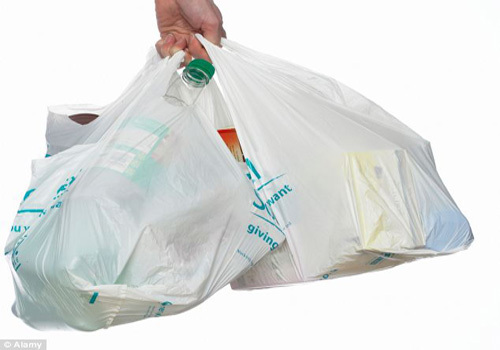 DENVER (Scrap Monster): The Vail Town Council is likely to ban the use of single-use plastic bags. According to Town officials, by imposing ban on plastic bags, the amount of waste shipped to Eagle County landfill could be substantially reduced. Incidentally, plastic bags account for a good percentage of waste brought to the landfill. Meantime, Mark Truckey, Breckenridge Town sustainability coordinator in a presentation to the Vail Town Council stated that the usage of plastic bags has gone down significantly since the town imposed a ban on plastic bags and started levying 10 cents fee on paper bags at checkout counters. According to him, the town has so far produced nearly 100,000 reusable bags, with almost half of the cost covered by proceeds from the bag fee. Truckey noted that the bag fee generates nearly $65,000 per annum. Apart from being used to fund production of reusable bag, the proceeds are used for educational purposes. A part of it goes to the stores as well. She added that a recent study conducted in California showed that use of single-use bag reduced by 63% with a 10-cent fee and by 83% with 20-cent fee. According to Kristen Bertuglia, Vail Town sustainability manager, although plastic bags are recyclable, the cost of recycling it is more than the cost of producing a new bag. Also, plastic bags are found to clog up systems at recycling stations. While most of the residents who attended the presentation supported the proposal to ban plastic bags, some raised concerns as such a ban would result in loss of jobs for bag industry. As per the proposed ban, a fee of 10 cents will be charged on every single-use paper bag. It will initially come into force in town’s two supermarkets effective July 1st and will later be extended to all retail businesses. The draft of the ordinance is expected by February or March.